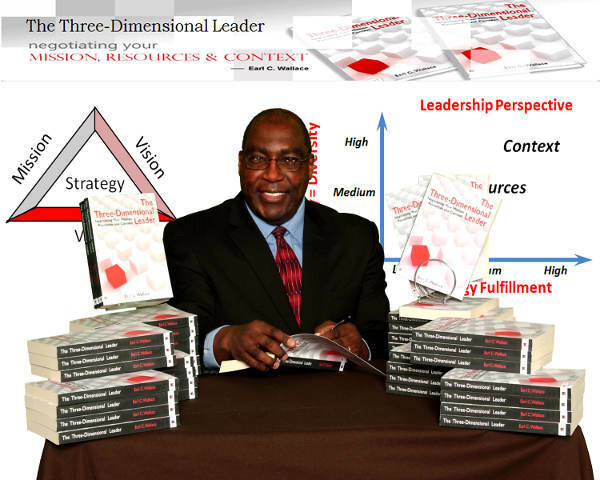 Get Your Copy of The Three-Dimensional Leader Today! Each Book Comes with A Free Audio Download! The Three-Dimensional Leader: Negotiating Your Mission, Resources and Context (MRC) is an easy to read, 392 page comprehensive manual that instructs us how to focus on the relationships between the mission, available resources, including the human processes that handle them, and the context of relevant variables that impact daily operations while keeping perspective on the organization's big-picture strategy. Unlike many leadership materials that consist of informational sound bites, loosely associated and strung together, leaving you unsure of how to apply them, The Three-Dimensional Leader presents a structured, holistic system of how to be a leader from the boardroom to the mailroom. It helps us avoid and correct leadership faults, oversights and abuses. The Three-Dimensional Leader gives you confidence by helping you learn how to determine what to do; what to do it with, and how to go about doing it. 3) citing historical references, organizational theories, and analyzing their validity in relation to the 3-D MRC perspective. These concepts give you perspective on how to apply them within your unique situation. Just like useful tools enable us to build and repair different kinds of cars and houses, 3-D MRC principles empower you to operate more effectively, regardless of the type of organization you are in. World Renowned Consultants and Leadership Experts Say, "Read this book!" The Three-Dimensional Leader is endorsed by Arthur F. Carmazzi, Marshall Goldsmith and David P. Norton. In the pages of The Three Dimensional Leader, Earl Wallace gives us his answer to the perennial question: What are leaders supposed to do? A highly worthwhile read, I recommend it to all those in leadership positions past, present, and future. — Marshall Goldsmith is the million-selling author of Mojo, Succession Are You Ready? and What Got You Here Won’t Get You There – a WSJ #1 bestseller. how to "franchise values" to avoid silos and "cross-pollinate internal initiatives, and mergers and acquisitions"
how to "achieve innovation through the five factors of out-of-the-box thinking" to reduce cycle times in new product development and manufacturing, and in service program design and delivery. Click here to obtain your copy today!